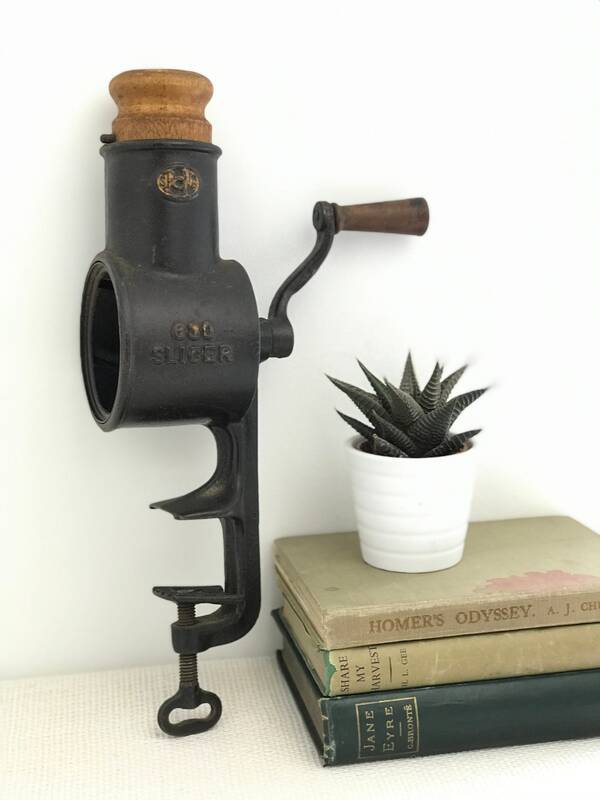 Are you looking for a rustic old kitchen gadget to use as a display item, film prop, photo prop or interior design accent? 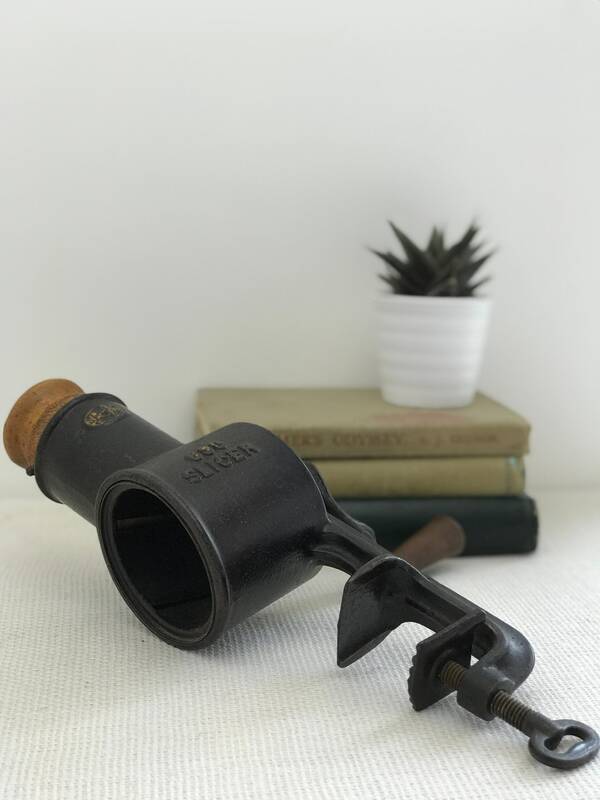 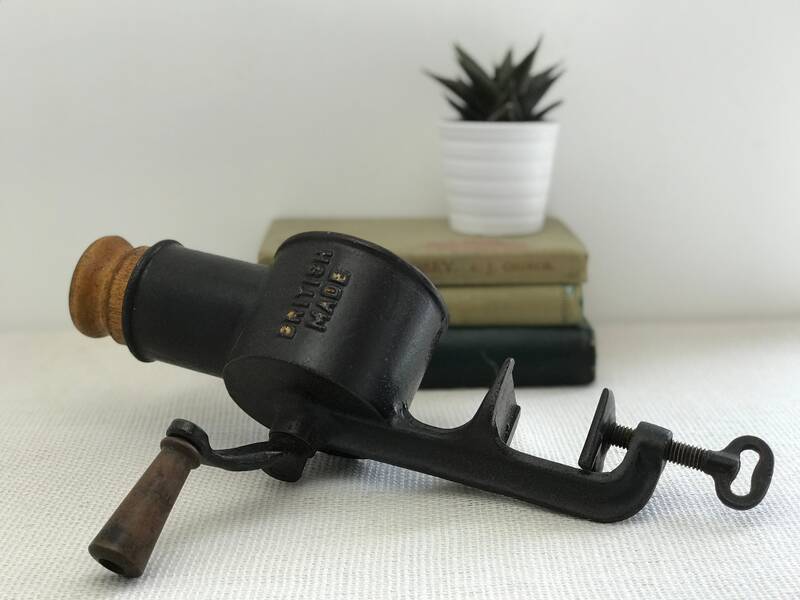 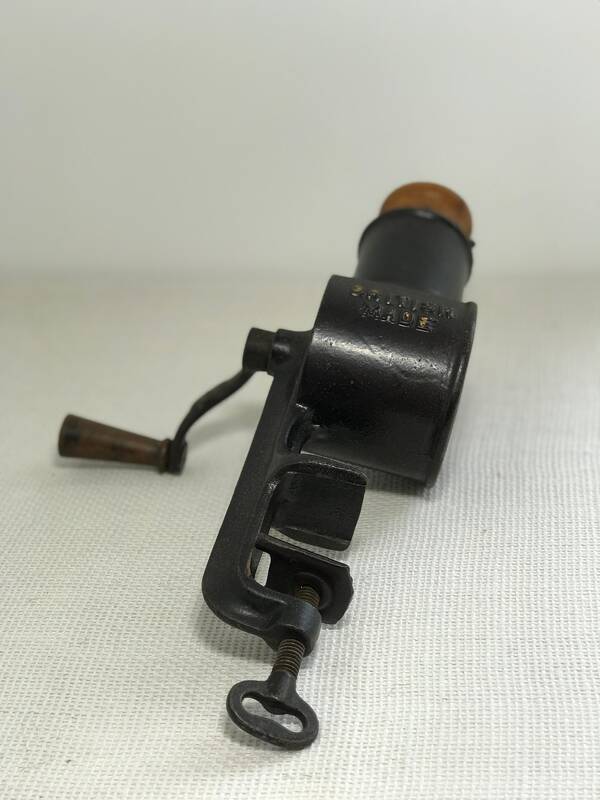 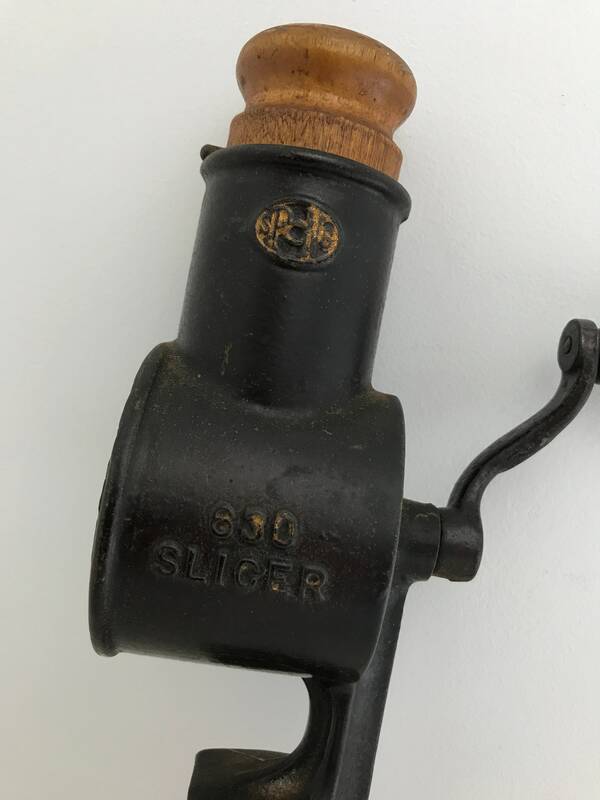 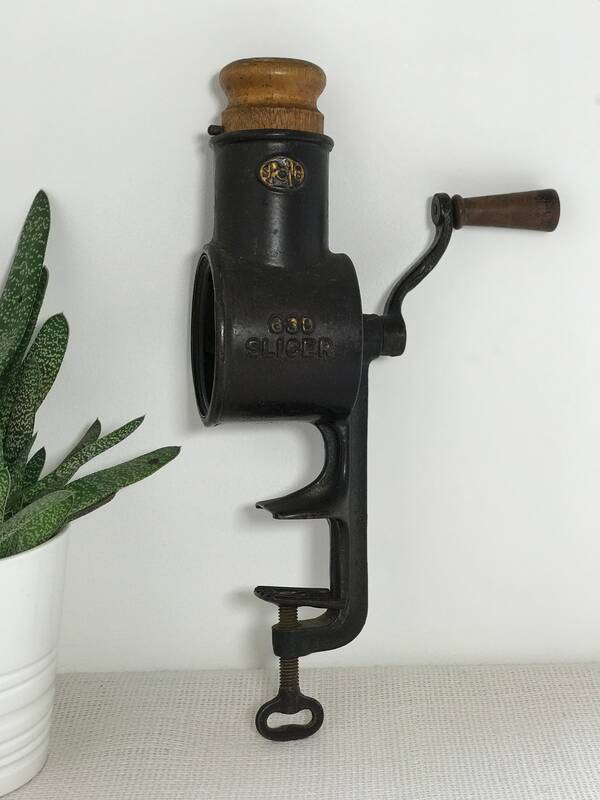 This old antique marmalade slicer is a curiously interesting item and is designed to be clamped to a work surface so why not display clamped to a table or wooden shelf. 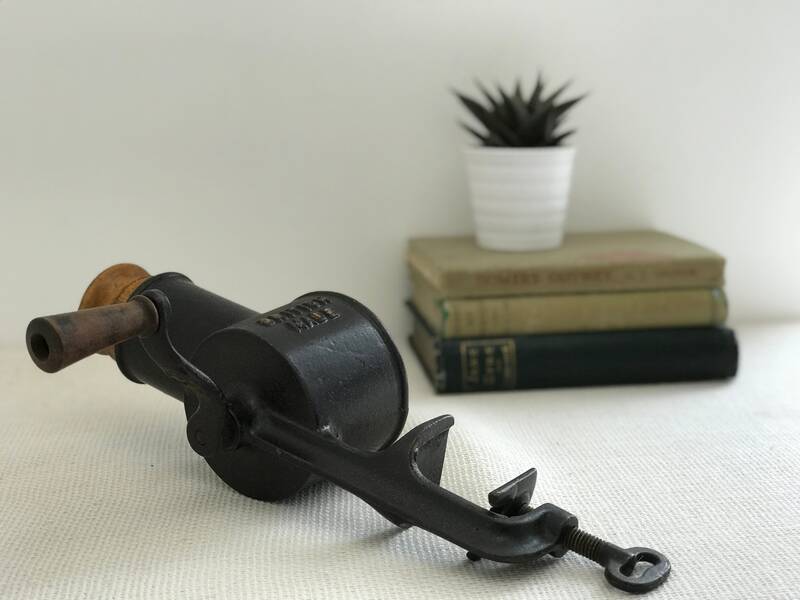 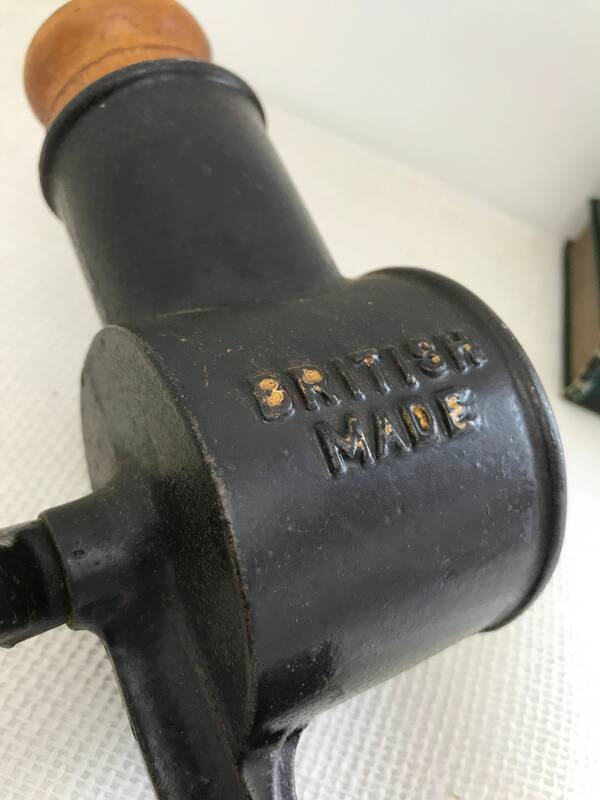 A British made item, made from cast iron, with wooden handle and trim.